If you’re considering a career in healthcare, you may be wondering what is a wound care nurse? According to the Wound, Ostomy and Continence Society, those who work in this field specialize in treating patients with wounds, ostomies, and continence disorders. Developing treatment plans – Working with wounds is often challenging, especially if a patient has severe burns or a wound that won’t heal. It’s important that wound care nurses know which kind of bandage or dressing to use, and they begin treatment by thoroughly cleaning the patient’s wound to remove dead skin and prevent bacteria from entering the site. Depending on the circumstances, wounds may require several layers of bandages, and it’s common for the entire process to take an hour or longer. Patient education – Wound care nurses who treat patients on an outpatient basis teach them and their families how to care for the wounds (such as how to change bandages) and how to sit or stand. They may also educate patients on proper hydration and nutrition. Ostomy care – Those who specialize in ostomy care have the skills to provide inpatient and outpatient care such as rehabilitation, pre-operative and post-operative education, and counseling for patients who have surgery for colostomies, ileostomies, or urostomies. 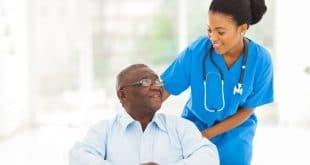 Incontinence care – Wound care nurses who treat patients suffering from incontinence provide services such as helping select the proper undergarments and education on self-catheterization. Follow-up care – Generally, patients who receive outpatient care see their wound care nurse once a week to have their progress assessed and so the nurse can determine if their medication is helping. If a wound does not heal, the nurse needs to figure out the cause and alter the treatment plan accordingly. Prospective wound care nurses must first become a registered nurse. This is accomplished by earning an associate degree from a community college, a diploma from a three-year hospital training program, or a bachelor degree from a four-year college or university. Most wound care nurses further their education to obtain a Master of Science in Nursing Degree followed by a post master’s certificate in wound, ostomy, and continence care. 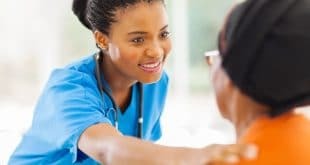 Nurses who are newly hired typically receive on-the-job mentoring and supervision that lasts anywhere from a few weeks to a few months depending on their education and previous experience. 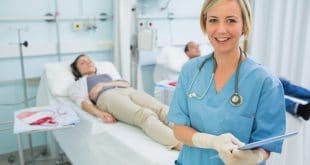 All fifty states and the District of Columbia require wound care nurses to pass the National Council Licensure Examination for Registered Nurses (NCLEX-RN) before they can practice. Licensure is also required to gain entry into a master’s program. As for certification, wound care nurses will need to pass the exam administered by the Wound, Ostomy and Continence Nursing Certification Board. Certification is valid for five years and continuing nursing education is required. Jobs for certified wound care nurses are projected to rise between ten and twenty-seven percent over the next ten years. It’s believed most of the positions will be found at medical facilities. According to Indeed.com, the average salary of wound care nurses is around $70,000. Location plays a key role in determining the figure, and those who work in Los Angeles, California make $74,000 annually, while wound care nurses working in Lincoln, Nebraska earn around $51,000 a year. Other factors include education which is why it is better to earn a bachelor or master’s degree instead of an associate degree. To have a successful career, wound care nurses should be assertive leaders and critical thinkers. If you would like more information regarding this profession, please contact us.